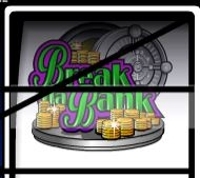 Break Da Bank is one of the longest serving slots on the Microgaming network. If our memory serves us correctly, it one of the originals, but it’s one of very few from that era that has managed to stand up for itself in the face of newer more technically advanced video slots. 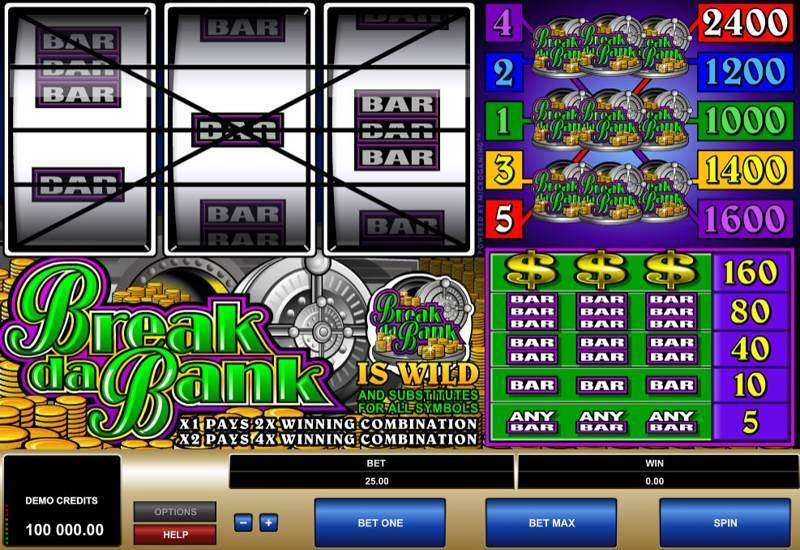 Some argue that Break Da Bank is a dated game, but we think that it’s simplicity now makes it a standout in an otherwise overcrowded marketplace with too many substandard ‘video’ slots. All you get is a 3 reel, 5 payline game and it is so simple to track. You do get wilds, bonus symbols and even healthy pay-outs from this retro looking game, while max bets are just 5 coins, so it’s definitely aimed at the beginner spectrum of online slots players. When comparing this to a slot such as South Park or one of the other branded games, the features and gameplay just won’t compare. You don’t get a handful of bonus games, free spins and multiple payline wins. But that’s not what Break Da Bank is about. The inclusion of the Bar symbols and dollar signs are about as retro as you can get, and retro is certainly ‘in’ at the minute. You need to be looking out for the Break Da Bank symbols as this will give you the best chance to win the jackpot of 2,400 coins. Getting 9 wilds covering the whole of the grid will earn you that 2,400 coin prize and it’s not as tough as you may think. The Wild symbols will also work as a multiplier when they are substituted in on any winning line. One wild will get you double the winnings; whilst two wilds will get you quadruple your winnings. Bear in mind, that the Wild will substitute all symbols to create the best winning combination possible.